Team ICO’s titles have taken on almost a mythical status among PlayStation Exclusives. While The Last Guardian my stand as the example of a “once in a generation release” for a much anticipated title to be resurrected – Shadow of the Colossus wowed both players and critics back in 2005 with its larger than life beasts, minimalist design and sweeping soundtrack. Almost a decade and a half later – does BluePoint’s remake on the PlayStation 4 wow us yet again with technical feats of grand scale or crush us under the weight of SOTC’s long legacy? Players take on the role of a young male protagonist known as Wander who has brings his significant other to an ancient temple within The Forbidden Lands in the hopes of resurrecting her. It is here that he is informed by the deity Dormin that resurrecting a human soul is difficult, if not impossible and highly frowned upon by society. By making a pact with this shadowy god, Wander is tasked with taking down 16 towering colossi before his request will be granted. SOTC’s story has never been the main draw for players, but it at least sets up the protagonist’s motivations in motion well enough. Returning players should take note that this remastered version does not include any additional narrative or lore and presents Wander’s struggle exactly the way you remember it from the PS2 release. 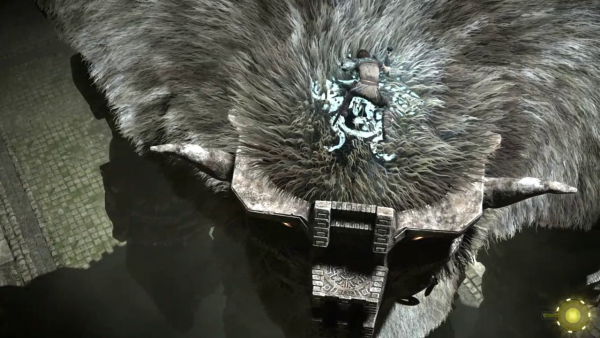 Shadow of the Colossus is a puzzle game hiding under the guise of an action adventure title. 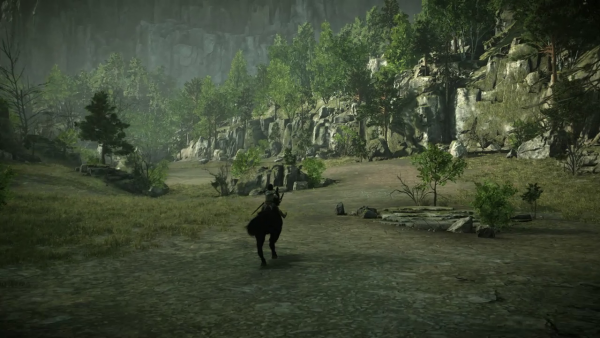 While Wander can sprint large distances, attack with his sword and leap across chasms, these aren’t player’s primary tool when dealing with the colossi. Having a keen eye, observing your surrounding and in some cases the structure of the colossi themselves can be the key to overcoming the obstacles in front of Wander. 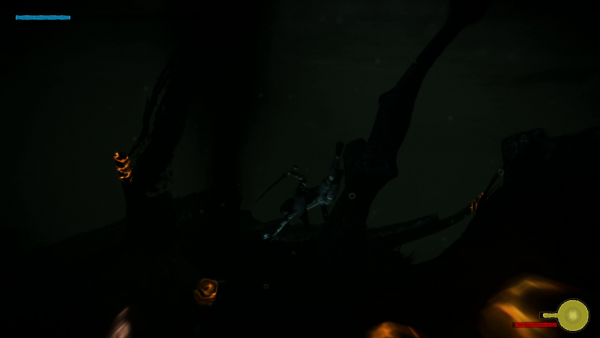 One encounter has you charging forward at full speed and hopping off of Wander’s horse to gain ground on the colossi and another has Wander hanging on for dear life as a serpent-like colossi emerges under the waves as he makes his way to the glowing weak points. 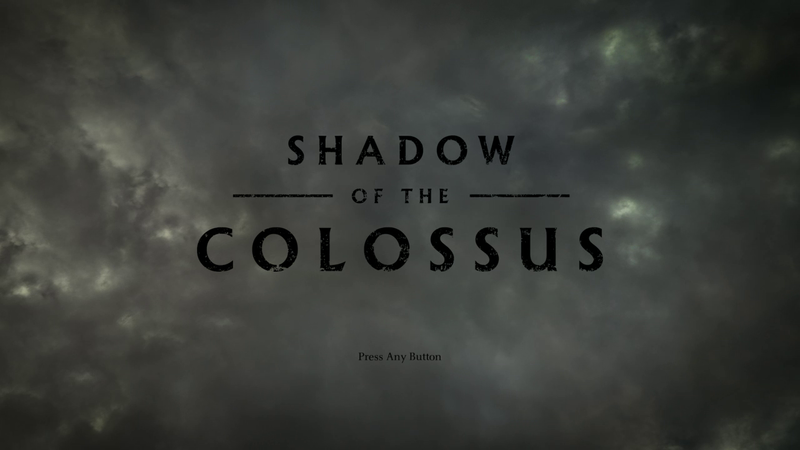 Each colossi fight has its own unique presentation but most encounters can be boiled down to the formula of “find way onto to the colossi, expose the various weak points and then slash with your sword until dead”. Controlling Wander’s movements while playing SOTC is simple and uncomplicated but there are situations where it can be unclear when you’ll regain control of your character again. This is particularly apparent when Wander is hanging off of the fur of a colossus and is shaken around like a ragdoll. Simple and responsive are unfortunately not words to describe the unpleasant experience of riding Agro the horse. While Agro can reach speeds that Wander could never dream of achieving, Agro will lose all of its momentum as soon as it collides with any object larger than a pebble. More modern games would have Agro simply side-step over small obstacles and continue at a brisk pace but time has not been pleasant to poor Agro and riding the pony express has more “stop start” than downtown at rush hour. This is made all the more agonizing with the realization that more than one colossus was designed specifically with the use of the horse in mind. While it is possible to complete this encounter without Aggro (we did during our review playthrough) – it is painfully slow and removes any tension or urgency from the battle. 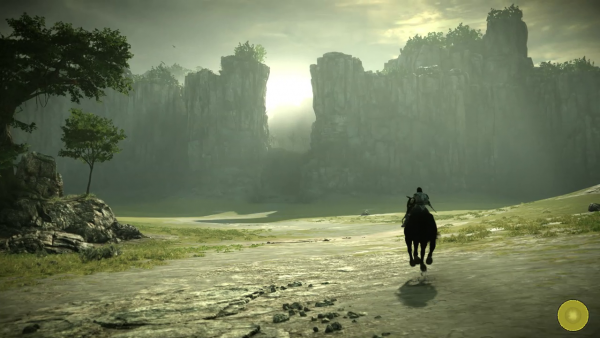 Visually Shadow of the colossus can be breathtaking and jaw droppingly beautiful at times. BluePoint Games have successfully recreated Shadow of the Colossus‘ unique visual style and vibrant palate while both simultaneously staying true to Team Ico’s vision from the 2005 and updating model / asset fidelity for the HD era. Running across SOTC‘s vast green fields while stating at mountain ranges far off into the distance with waterfalls below you truly has to be seen in motion to be believed, static screenshots do not do BluePoint’s work on SOTC‘s revitalized visuals justice. If you’re looking for a title that will show friends who might not own a PlayStation 4 that capability of Sony’s latest system – Shadow of the Colossus is THAT title. All of the work that originally went into the unique designs of the 16 colossi back in 2005 is preserved in the 2018 remake. If you get a chance while battling one of these towering stone monsters, stop and observe their movements. 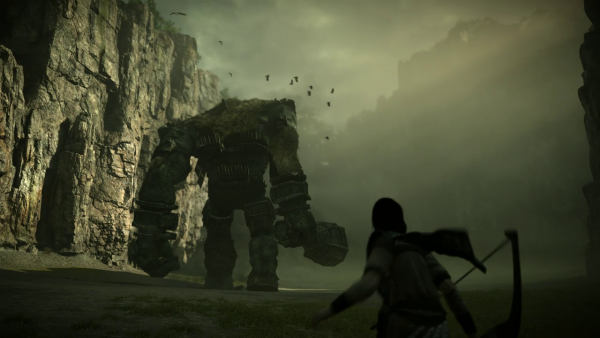 It shows that the original developers paid extra attention to how way each colossi would shift their body weight and position their limbs during movement. 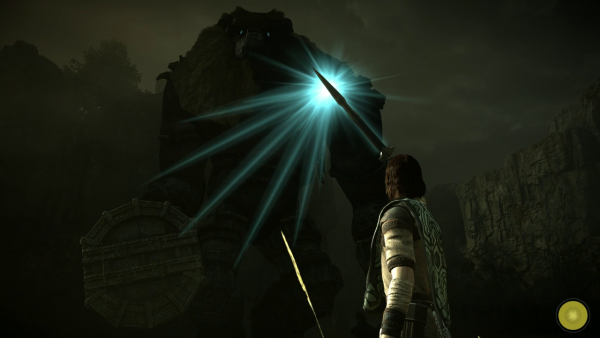 Whether Wander is facing off against the large stone serpent, the small boar-like creature or the bipedal first colossus – each one moves slowly, deliberately and uniquely. All of this attention to detail was unthinkable back in 2005 and 13 years later it still holds up as some of the best intricate creature design. Just don’t get Wander squashed as you marvel at the slow finesse of the colossi. There was nothing quite like Shadow of the Colossus when it debuted on the PS2 and two generations later it still shines as one of the most unique PlayStation exclusives. BluePoint games did a tremendous job bringing Team ICO’s original game forward in time to 2018. SOTC on PS4 looks gorgeous, sounds great and at times feels just as epic as the original. Returning players may be disappointed to learn that this remake offers no additional content over either the PS2 release or the updated PS3 remaster. After completing the campaign players unlock New Game+, Mirror World Mode and Time Attack – just as they did in previous releases. If you haven’t played SOTC before and can stomach some minor control issues (especially with the horse) this is the definitive version to experience the 2005 classic. Returning players can expect a gorgeous trip down memory lane that plays exactly how they remember it – except in 4K and beyond. Sony Interactive Entertainment Canada provided BrokenJoysticks with a digital pre-release copy of Shadow of the Colossus on PlayStation 4 for review. The game was reviewed in 1080p on a launch PlayStation 4 unit – although the game does provide PlayStation Pro specific enhancements that we could not test. Shadow of the Colossus is expected to retail for $49.99 CDN.